Annually, the EU Interreg South Baltic Programme invites participating organisations of the current funding period to a networking event in one of the five countries of the programme region (Lithuania, Poland, Denmark, Sweden, Germany). This year, 150 representatives of 72 ongoing projects came together at the Annual Event dedicated to “Unlocking the potential of blue and green regional development” in Klaipėda, Lithuania, 23rd-24th of May. CATCH was represented by Rostock University and REM Consult. As the event’s focus is on connecting projects and their partners, only short plenary sessions where held. These gave the opportunity to learn about the programme by playing an interactive brain battle and by listening to the “state of the play” presentation held by the Head of the Joint Secretariat Igor Kaniecki. To enable communication and foster cooperation between projects, round tables were organized dedicated to the programme’s thematic areas Sustainable Tourism, Green Technologies, Sustainable Transport and Skilled Labour Force, as well as South Baltic Programme post 2020. CATCH contributed to the round table “Sustainable Tourism – Cooperation post 2020”. The discussions showed that the awareness for the value of sustainable tourism cooperation on all levels – from local to EU – still needs to be risen. Political decision making needs to consider the potential of tourism for economic welfare especially in rural areas. This includes stronger involvement of regional and local actors. Additionally, the development and marketing of joint products need to be driven forward and the cross border connectivity and accessibility of information should be strengthened. On project level, knowledge transfer across projects and also across countries was figured out to play a major role in future activities. This issue was also discussed during the second day’s workshop “joint dissemination and other communication tools”. Interconnectivity between projects should be facilitated by e.g. speed dating sessions at events or the provision of project information in the programme newsletter, to name only some ideas. A major concern is the interconnection and continuation of established knowledge provided on different project platforms as well as the interconnection of provided event calendars on the same topics. 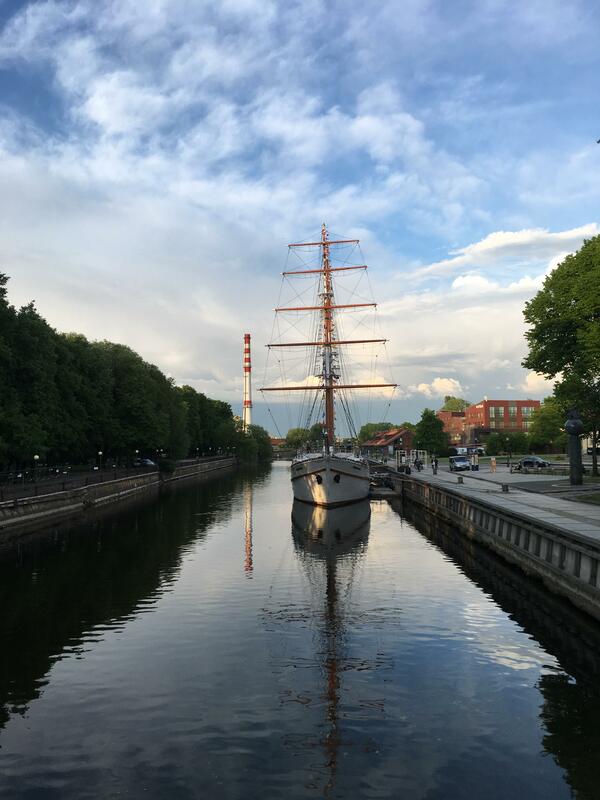 Between the workshops participants of the event had the chance to choose either a boat tour or a guided bike tour through the city to trace South Baltic Projects in the region of Klaipėda and enable further networking. The biking group stopped at different locations to learn about projects like InnoAquaTech [https://www.submariner-network.eu/projects/innoaquatech/about-innoaquatech] or the Umbrella project [http://www.eurobalt.org/february-14-15-2018-umbrella-kick-off-meeting/].A joint dinner in the evening allowed for socialising and further communication and cooperation between projects.